Mission: Impossible - Fallout fell 40 percent from last weekend's box office, but still earned $35 million and took the number one spot. Disney's Christopher Robin opened with mixed reviews with only $25 million, which was on the lower side of initial projections. 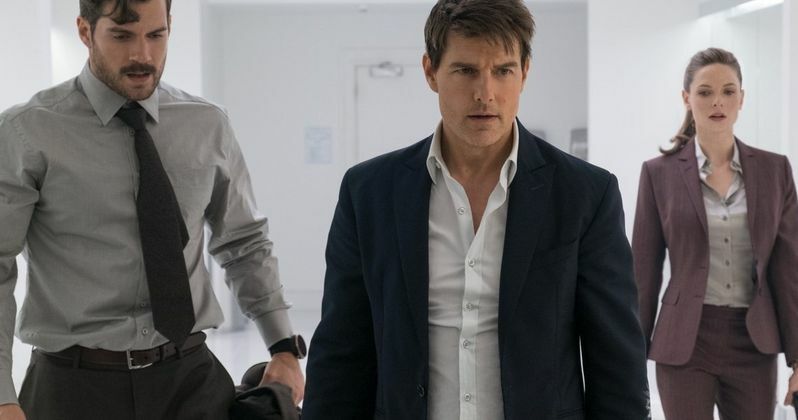 The sixth installment in the Mission: Impossible franchise has earned $124 million in North America in its first two weeks. And overseas, it has amassed over $205 million, which is even without the help of China. The film will open in China on August 31st, where it is expected to get another bump worldwide. Disney's Christopher Robin was projected to make $25 million to $27 million and it fell on the lower end of the spectrum. Cathleen Taff, Disney's head of theatrical distribution isn't worried about this weekend's box office numbers and said, "We think this movie will have legs. We don't have a lot of family film competition behind us." The film stars Ewan McGregor as the titular character who is overworked and stressed out. His old childhood friends magically appear to help the adult deal with his problems. The third spot at this weekend's box office went to the debut of The Spy Who Dumped Me, which brought in $12.3 million. The comedy stars Mila Kunis and Kate McKinnon as their lives are turned upside down when its revealed that one of the women's ex-boyfriends is an international spy. The film also stars Justin Theroux, Gillian Anderson, Hasan Minhaj, Ivanna Sakhno and Sam Heughan. Taking the fourth spot this weekend is Mamma Mia! Here We Go Again, which was able to earn an additional $9 million in its third week, bringing its worldwide total to $230.5 million. Related: Can Winnie the Pooh Stop Mission: Impossible 6 at the Box Office? The Equalizer 2 and Hotel Transylvania 3: Summer Vacation took the fifth and sixth spots, respectively. The Denzel Washington-starring sequel earned $8.8 million, while the Adam Sandler and friends sequel brought in $8.2 million. Ant-Man and the Wasp took the seventh position this weekend with $6.1 million, bringing its worldwide total earnings to $426.2 million. The Marvel Studios production has remained in the top ten since its release a month ago. It's creeping up on beating out the first installment, which it may be able to pull off by the end of the summer. As for the eighth spot at this weekend's box office, Fox's The Darkest Minds made its debut with $5.8 million. It's the first time since Deadpool 2 that Fox has entered the box office this summer. Number nine went to Disney's Incredibles 2, which brought in an additional $5 million, bringing the worldwide total to nearly $1.1 billion. The tenth spot this weekend went to Teen Titans Go! To The Movies with $4.8 million, falling over 53 percent from its opening weekend. Jurassic Park: Fallen Kingdom was knocked to number eleven this weekend having earned $4 million. You can check out the rest of this weekend's box office numbers at Box Office Mojo.